"Arbeit Macht Frei" ( Work Sets You Free ) ..
We were in Munich at the fag end of our trip through Austria .. Unlike the remaining attractions in / around Munich, it is a bit difficult to get details of this memorial. It is remarkably absent from the tourist brochures or hotel information booklets. Two subway rides & a short bus ride from Munich, you can get to Dachau ( pronounced as Da'hau ) concentration camp memorial. Next to the gate, a plaque in respect of US 42nd Rainbow Division which liberated this camp is put on a pillar. The moment you step inside, you see a large open ground with couple of buildings on the side, of which one is a museum with stories of the way camp prisoners were treated , history of Nazism & camp and so on. Exhibits are in three broad categories.. The first one shows you visuals and writings showing the reasons of Nazi movement , war history & camp details.. The second set has got more to do with the way prisoners were treated there. About 400 men stuffed into living quarters to the size of about 50, details on the food , sanitation, treatment of prisoners etc. It also details on the SS hierarchy and the the people in charge at the camp. To the outside world, these camps were portrayed as re-education camps . A large section of population who lived around the camp had no idea about what really happened at the camp. 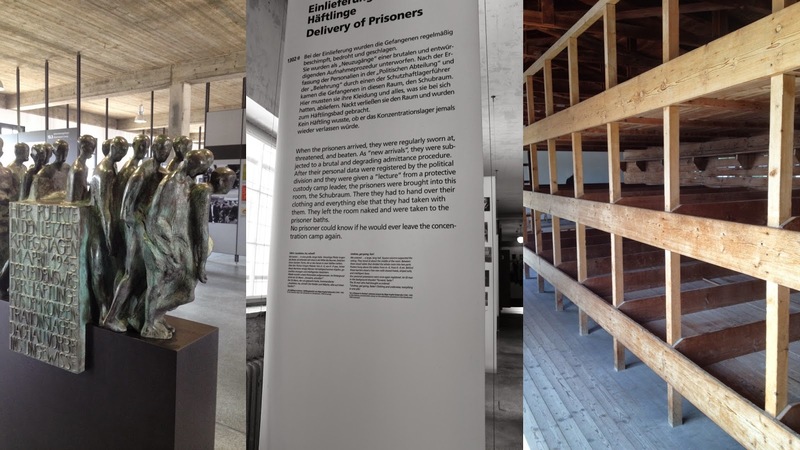 The final set of exhibits portray details on various prisoners there. Political opponents, prisoners of war, Jews, gypsies , local criminals , homosexuals... practically anyone who was remotely considered a threat to the Nazis were candidates for imprisonment. The museum also displays various writings , letters and all such items that highlight the sheer willpower of survivors . The fact that the liberators of the camp had a tough time separating dead and alive people speaks a lot about the way in which people lived over here. They show a documentary highlighting all this as well. 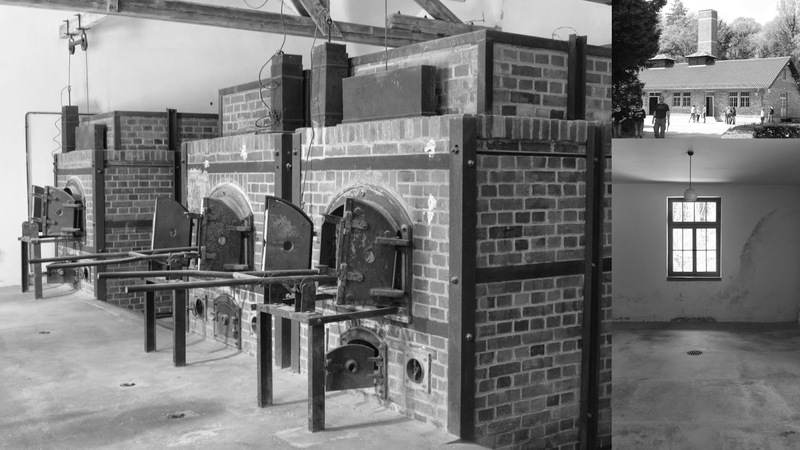 Once you have covered the museum, you can see a few buildings which include living quarters, crematorium , gas chamber etc..
Dachau Concentration Camp Memorial is a good example of the way you should treat history.. Just the facts, without any prejudice or bias.. Explaining the story in its rightful way.. The way Germany has treated its past is something that you need to appreciate.. Different nations which have troubled pasts often tend to suppress or even refuse to acknowledge them.. Admirably, Germany acknowledges the mistakes committed by Nazis, salutes the spirit & courage of former inmates. The atmosphere inside the camp memorial is apologetic to the entire humanity. 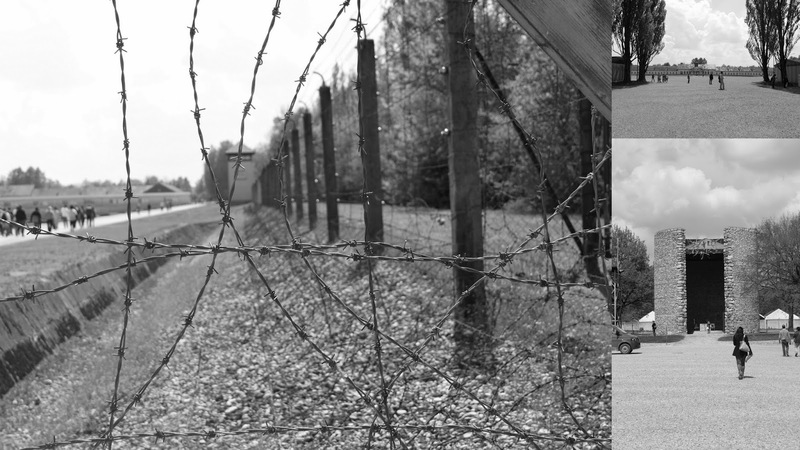 Visiting a concentration camp is a life-defining experience. It makes you aware that a lot of basic things that you take for granted were denied to scores of people who were forced to live a life worse than animals..